VAGTECH IS A company which will already be familiar to regular readers of our sister title Volkswagen Driver, primarily because of its work on turbocharger conversions for the VR6 engines. In particular, its 400 bhp turbo’d R32, featured in the August 2005 issue, has shown its awesome ability not only on track days and in quarter-mile drag-racing competitions, but also as reliable daily transport for VAGtech’s founder Jon Watts. A former IT specialist and self-trained technician with a penchant for high-tech engineering, VAGtech is now the UK agent for Canadian company HPA Motorsports. This is the operation which was commissioned by Volkswagen of America to produce the high-powered Jetta and Passat R-GT con cept cars which made such a stir at last year’s SEMA show in LasVegas. Working in conjunction with develop­ment partner HGP Engineering in Germany, HPA’s specialty is a range of turbo conversions for the 2.8 and 3.2- litre narro-angle V6 engines.These include the entry-level 360 PS direct­ to-manifold kit, through 370, 400, 410 and 450 PS single turbo set-ups, culminating in a 550+ PS twin-turbo conversion. This made it’s debut in the UK at this year’s GTI International, installed in a Beetle RSi. 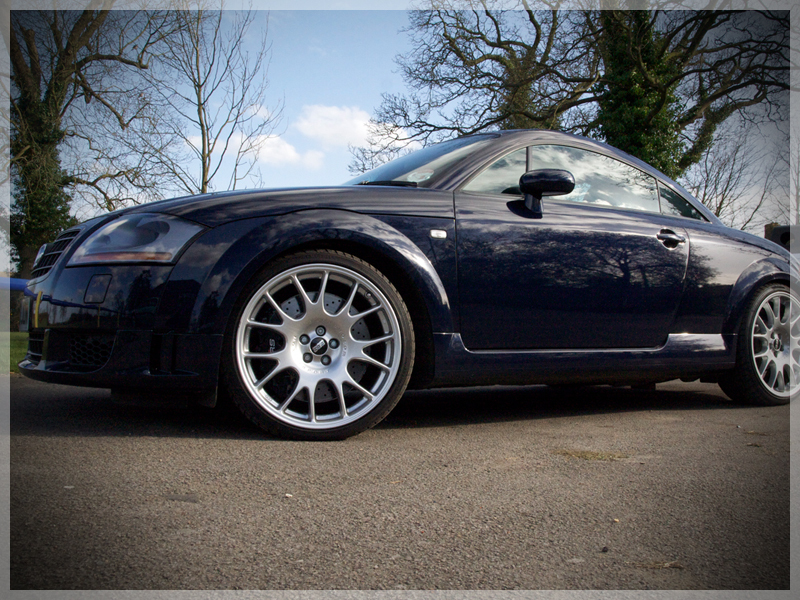 Of course,these conversions are also equally applicable to the 3.2V6 in the TT, the model to which VAGtech has recently turned its attention. With the R32 project car sold on to make space in the workshop, the team soon found a suitable demo car with this 3.2 DSG. Purchased from a private owner in Broxbourne, near Ware in Hertfordshire, it was a well cared-for exa1nple with 29,500 miles on the clock , originally supplied by Charles Audi. 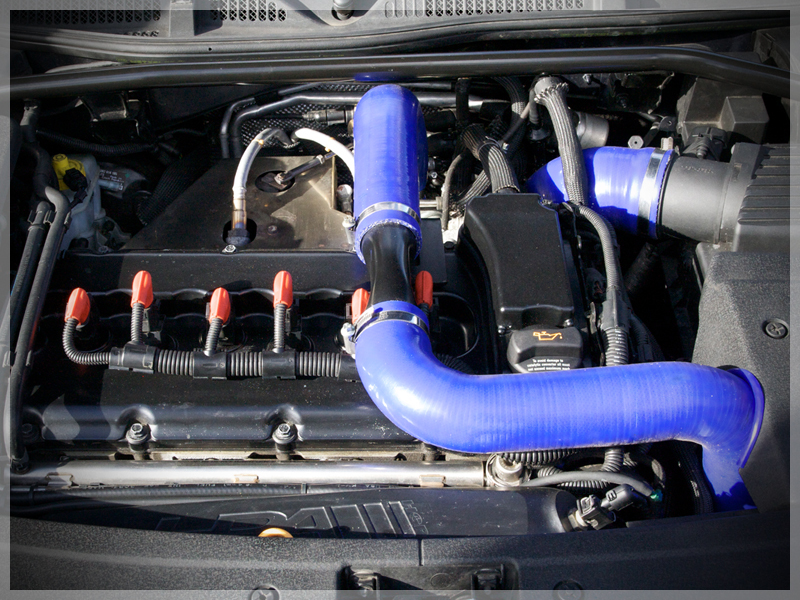 Now, a few thousand miles later, it has been transformed, with the HPA single-turbo (Garrett R30) FT400 kit. Used in conjunction with the larger competition -side-mounted intercooler, it now pumps out 399 PS at 6360 rpm and develops 486 Nm (360 lb.ft.) torque at 4865 rpm. These figures are recorded on the rolling­ road at AmD Technik in Bicester, during a hot (36 degree ambient) and humid TT Forum rolling-road test day.